"This memorandum reflects new policies for the apprehension, detention, and removal of aliens in this country. This memorandum should be considered Department-wide guidance, applicable to the activities of U.S. Immigration and Customs Enforcement (ICE), U.S. Customs and Border Protection (CBP), and U.S. 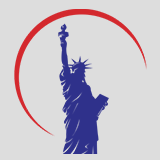 Citizenship and Immigration Services (USCIS)."